Israel is only one of many ethnic democracies (such as Finland, Norway, Korea, etc. ), that have only one ethnic majority and one or several minorities that do not share ownership of the national territory. 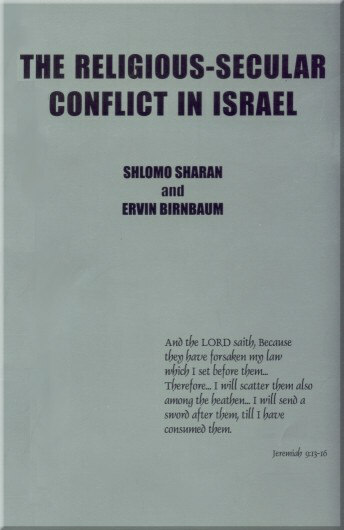 In Israel today there are a number of political as well as extra-parliamentary groups who seek the adoption of a constitution which would formally separate Judaism as a religion from the State of Israel as a secular nation. This essay deals with the many reasons why the separation of state and religion is inappropriate for Israel. This study is based on the recognition that Israel has been increasingly turning into an arena of conflict between those terming themselves "religious" and those referring to themselves as "secular". Since the religious-secular conflict in Israel could be very dangerous to the very survival of the Jewish State, it needs to be minimized.